Six albums and 14 years in, Baltimore duo Beach House has well-established itself as masters of dream pop, with each release gradually refining and evolving its unmistakable sound: a transportive pulse of organs and swooning melodies drawing from psych pop, shoegaze, and more. Singer-keyboardist Victoria Legrand and guitarist Alex Scally have tended to this aesthetic with laser focus, occasionally (and superficially) earning the criticism of sounding the same from album to album, but more often being labeled the most consistent indie band of the modern era. That they’ve kept the creative flame burning for more than a decade now, outliving many of their mid-’00s peers, is miraculous. And on their seventh full-length, appropriately titled 7, they somehow manage to sound like they’re only getting started. 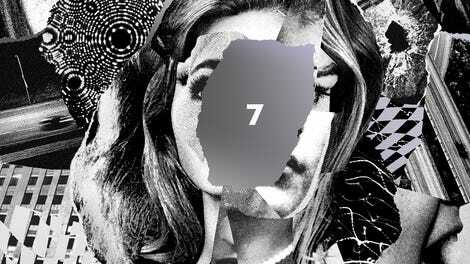 7 is the band’s darkest, messiest, and most varied album to date, but its impulsive new spirit is not entirely unexpected. In 2015, the duo surprise-released Thank Your Lucky Stars just weeks after the standard, publicized release of Depression Cherry. Both albums were recorded in the same south Louisiana session dedicated to moving away from the huge, drum kit-driven sound of 2012’s Bloom toward simpler arrangements that honored the group’s fundamental chemistry and reach. At the same time, it found the pair pushing these limitations to their absolute extremes, impressively wringing wholly new textures and structures from them. But TYLS was the album that the band made “for themselves”; they had the songs and didn’t want to wait another year to release them. They wanted to play them for audiences now. This wanting to stay as excited and close to the source as possible drove 7’s creation, as did a sense of rebirth following last year’s clearing of the slate, B-Sides And Rarities. After Depression Cherry and Thank Your Lucky Stars, Legrand and Scally built a studio in their practice space, eliminating the time between a song’s initial inspiration and its recording. In a first for the pair, they invited touring drummer James Barone in on the process, and before they even realized it, they were putting together a new record. Breaking from their longtime collaboration with producer Chris Coady, they finished the tracks off with Spacemen 3’s Peter Kember, a.k.a. Sonic Boom, a perfect fit for 7’s shadowy psych. The new approach and collaborators give the album an exhilarating immediacy and experimental spirit. 7 plays like a dark hallucination of the Beach House we’ve come to know. The band’s signature hypnotic thrum is still here—all gauzy keyboards, soaring guitars, and alternately brooding and operatic vocals. But it’s been cracked open, letting in both diaphanous acoustic and acidic electric guitars (“It took us six records to buy a distortion pedal,” Scally recently joked to The Fader), blown-out bass lines, and rhythms that beat out of the chest (and occasionally run amok). On their last two records, Legrand explored a gentle, Slowdive-like vocal delivery, but here she draws from her entire range, favoring the deep and dramatic end. Scally’s similarly restless approach on guitar drives a lot of the album’s dissonance, most often in buzzing drones, but also in uneasy flourishes (“Lemon Glow”) and jagged, Neil Young-like lines (the apex of “Drunk In LA”). The album is ruled by an aggressively capricious energy that cuts some songs off abruptly (“Lemon Glow,” “Girl Of The Year”), redirects others at whim (“Dive”), and lets others accumulate and wash away slowly (“Black Car,” “Last Ride”). The roar of deadpanned, shoegaze-y opener “Dark Spring,” for example, evaporates suddenly for the sludge ballad “Pay No Mind,” before the 808 groove of near-banger “Lemon Glow” creeps in to pick up the pace again. The breathtaking “L’Inconnue,” the first of their songs to feature French lyrics by Paris-born Legrand, begins with gently rippling harmonies á la Depression Cherry’s heavenly “Days Of Candy,” then turns toward a Beach House go-to: jamming overlapping parts (here including haunting, metamorphic wails from Legrand) to the fade-out. The second half takes its time and stretches out a bit more. “Black Car” appears to be one of the first Beach House songs to not feature any guitar at all, just a burbling, melancholic synth line surrounded by layers of discordant synth moans. The acoustic-driven “Lose Your Smile” luxuriates in full-on psych folk, a new but unsurprisingly natural sound for the band, while “Woo” breezes by on a familiarly blithe melody sprinkled with samples of childlike laughter. Finally, 7 comes to a close with the seven-minute mirage of “Last Ride,” which builds and mutates gradually over a descending piano line, before leaving us in a glimmering pool of light. 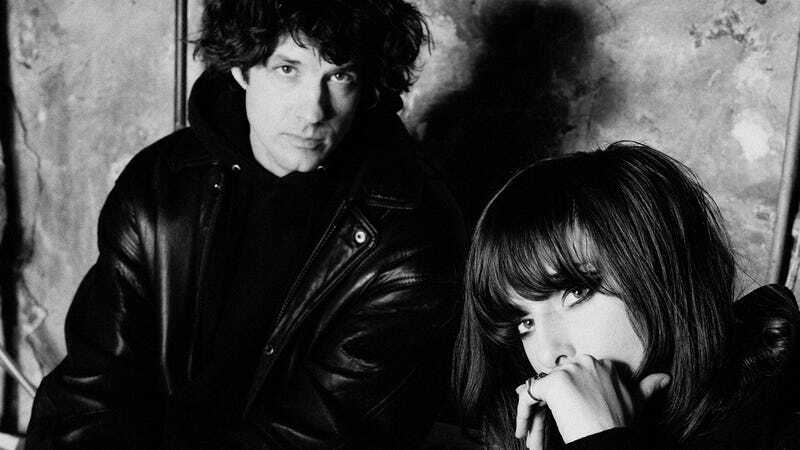 As Beach House’s sound has grown more elliptical and cinematic, Legrand’s lyrics have become increasingly impressionistic, and on 7, her vivid, fragmentary lines kick up images and emotions to envelop listeners rather than tell any clear-cut story. It’s a whirlwind of fantasy and nightmare, wanting and having, inspired by darkly beautiful figures like Warhol superstars Edie Sedgwick and Nico, and more abstractly, the destructive and elusive pursuit of the superficial. These are tender portraits of “skinny angels making eyes at cameras” (“Drunk In LA”) with “fake eyelashes” (“Last Ride”) getting “dressed to undress” (“Girl Of The Year”). And they’re tragic, yes, but Legrand sees their strength. In “L’Inconnue,” she reminds a young woman (who sounds eerily like L’Inconnue De La Seine) of her agency: “Little girl, you could be loved / Little girl, you should be loved / The moment you say you know / Is the moment you are.” Even when they’re disappearing or burning out, these women are getting free. With 7, Legrand and Scally have gotten freer themselves. This is the sound of a band that knows itself extremely well and yet, in seeking outside perspectives and embracing imperfection, has discovered a whole new level to explore. If this album feels like an alternate-reality Beach House, it’s because Legrand and Scally have altered their reality. They were already fiercely independent, demanding full creative control over their projects, but with the frustrations of the traditional producer-band relationship gone, they get to go even deeper than anyone imagined—and fortunately, take us with them. Purchasing 7 via Amazon helps support The A.V. Club.